As Pune eagerly waits for its own Metro service, the much-delayed project may face a few hurdles while trying to navigate its route on Corridor One, from Pimpri to Swargate. A team from Nagpur Metro has already started a survey of the two routes of Pune Metro. “The process to start work on the Pune Metro has been initiated. On Friday, our team surveyed the two corridors,” said Brajesh Dixit, managing director of Nagpur Metro. When asked about the possible hurdles in the way, Dixit said, “We will overcome all challenges”. He said once the team finishes its survey, it will hold a discussion with officials of the Delhi Metro Rail Corporation, the consultant for the project. Corridor One, from Pimpri to Swargate, will cover a distance of 16.589 kilometres; it will be partly elevated and partly underground. From Pimpri to Agriculture College area, the track will be elevated and from that point to Swargate, it will be underground. 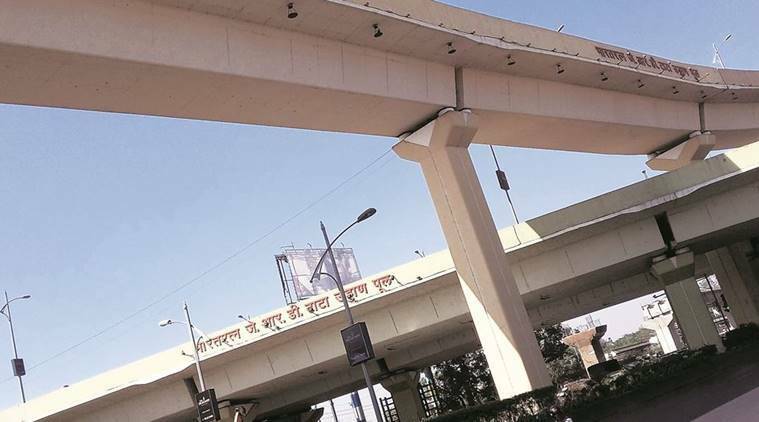 The project is likely to encounter its first hurdle at Nashik Phata, on the Pune-Mumbai Highway, where a two-tier flyover came up two years ago. The first flyover connects Bhosari to Pimple Gurav, Rahatni and Wakad areas. The second one, constructed above the first one, connects Kasarwadi to Bhosari. Two railway tracks run close to the flyover, and numerous residential buildings and industrial units are located between the tracks and the highway. After starting from Pimpri, the Metro will reach Nashik Phata flyover and make its way between the two flyovers at the Nashik Phata chowk. 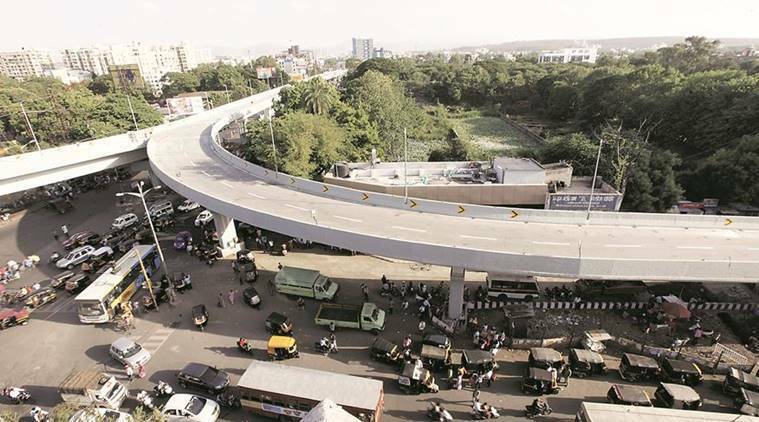 The Metro rail track is likely to run between the first and the second flyover, said officials of the Pimpri-Chinchwad Municipal Corporation. “The Pune Metro tracks will be at a height of 50 metres from the ground level,” said Joint City Engineer Rajan Patil. However, experts pointed out that constructing a Metro track through Nashik Phata chowk would not be easy. 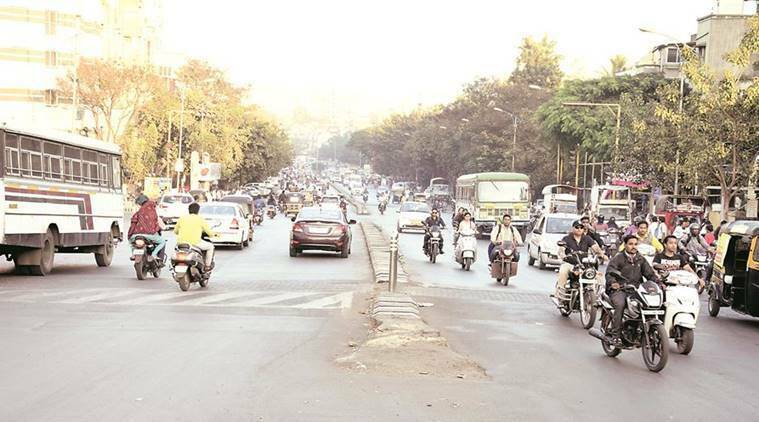 “To get the Pune Metro rail to ply between two flyovers and adjoining railway tracks, besides the chaotic traffic on the highway, will be a difficult task. We hope that the digging work and other related activities do not affect the foundation of the Nashik Phata flyover,” said activist Prashant Inamdar. He said besides the Nashik Phata flyover, the Metro rail will also run into problems near the PCMC headquarters. “Here, it will start on the left and then move above the service road. The problem is that heavy vehicles, which are banned in Pimpri grade separator, are moving on to the service road. The road has already become narrower due to the presence of the BRTS. And now they plan to erect columns and set up other paraphernalia… This will make the Pimpri stretch of the Metro absolutely chaotic,” he said. The Metro will cover the 2-km distance between Pimpri and Vallabhnagar on an elevated track, said PCMC deputy engineer Bapu Gaikwad. “There will be a Metro station at Nashik Phata. From here, the Metro will move to a height of 50 metres to cross the flyovers,” he said. Gaikwad said after the Metro crosses the chowk, it will move to a height of 25 metres, and ply near industrial units. “It will reach Dapodi and run between the Harris Bridge and Central Railway tracks,” he added.